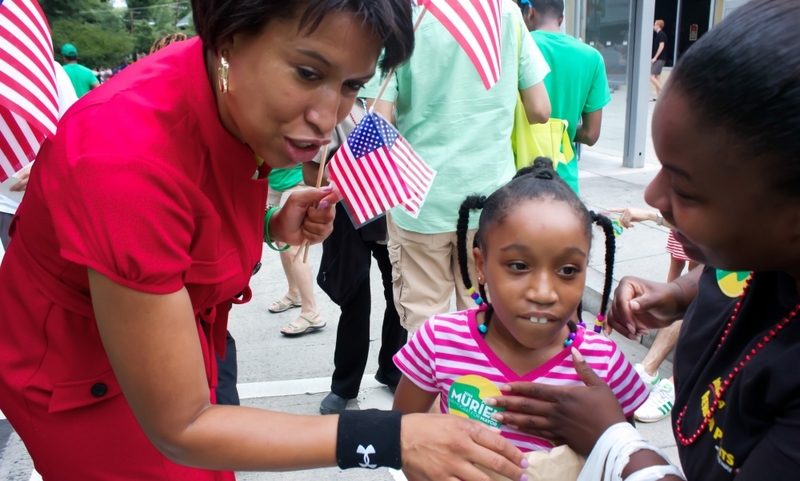 Then candidate for mayor Muriel Bowser at the 2013 Palisades parade (crystalndavis/flickr). It’s not as exciting as an election year, when mayoral and D.C. Council candidates crisscross town to march in July Fourth parades to earn votes, but you still have a chance to meet the mayor and other lawmakers in this year’s celebrations. These are the six parades and block parties Mayor Muriel Bowser will be attending tomorrow, courtesy of her public calendar.